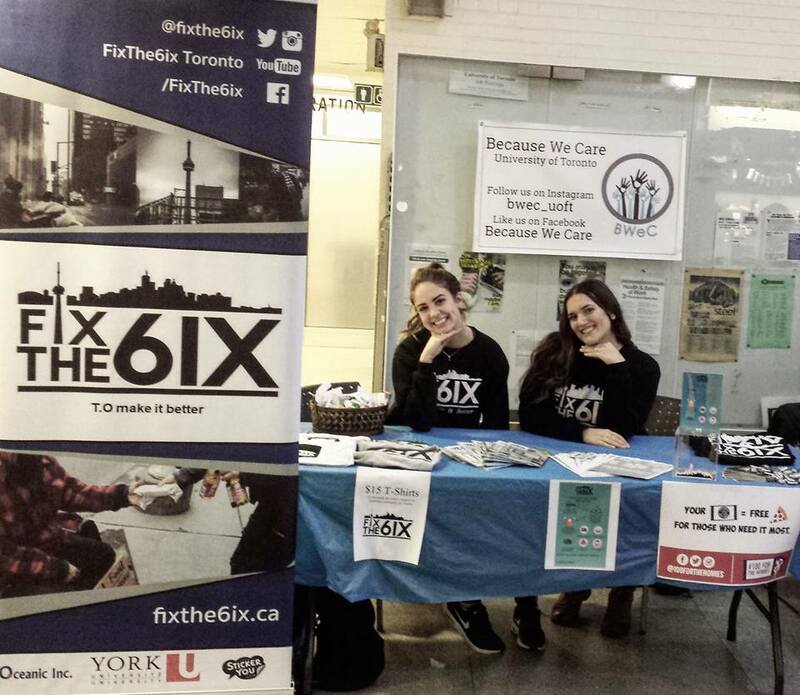 Fix the 6ix is partnered with St. George campus student group Because We Care. Because We Care is a ratified student group that matches University of Toronto students with local volunteer opportunities. Because We Care hosted a cross-campus Fix the 6ix ReGiftcard drive from March 13th to 24th 2017. ReGiftcard donation boxes were stationed at 5 locations across campus: Hart House, Woodsworth College, University College, Victoria College, and New College. Fix the 6ix also contributed $200 in Tim Horton’s gift cards to the Because We Care “Blessings Bags” project held January 22nd 2017. U of T students assembled and distributed bags to street involved individuals in the downtown core which included essential items such as hygiene products, first aid supplies and gift cards.